How Do I Look After Baby Chickens? I’m sure we can all agree that yes, kittens are very cute. And puppies- so playful and floppy it’s hard not to smile. But nothing is sure to make you weak at the knees and tug at the heart strings more so than baby chickens- with these little balls of fluff, it really is love at first sight. From their sweet little ‘peeps’ and ‘cheeps’ and their funny little beaks and twiggy legs, baby chickens are a delight to watch and raise as backyard pets. 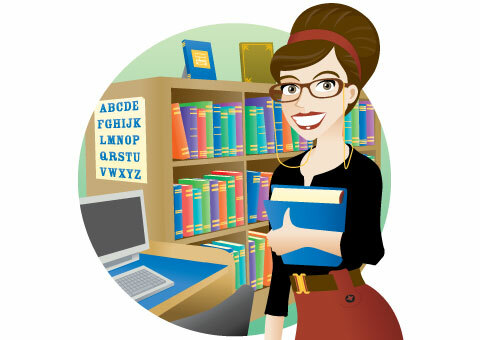 Where you will most likely take the role as master for your pet dog (or large one with food) for your pet cat, if your baby chickens are hatched and raised naturally, then their mother hen will take over most of the caretaker duties. So what exactly do the oh so cute and curious baby chickens get up to on a daily basis to keep them happy, healthy and entertained? Well, wonder no more - here’s a day in the life of a baby chicken! Rise and Shine, it’s morning time! 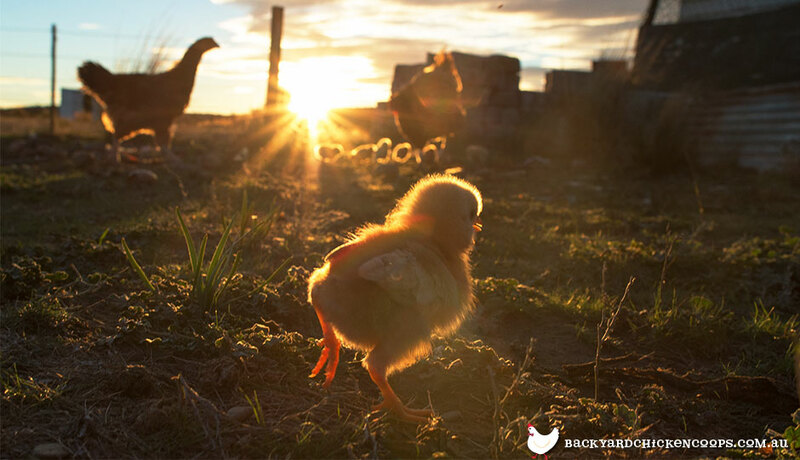 As soon as the sun starts to peek through the weary clouds of the evening, your baby chickens will be up and ready for the day! Their incessant chirps are sure to wake up mother hen, who will cluck alongside her little ones until you wake for breakfast. Within the first few days of their fascinating life, the mother hen will have taught her baby chickens how to eat and drink so they can get the nutrients they require to grow into fit, healthy, egg producing chickens. You however, will need to provide them with fresh, clean water- in a special waterer that will ensure they don’t fall in and drown, as well as a good quality starter feed to keep your baby chickens healthy and strong. While your baby chickens are enjoying a much deserved feed, you will truly see the remnants of it- so to speak. Just like normal babies, baby chickens will poop...a lot! So muck out their area and refresh their bedding, so they have a fresh clean coop to return to when their day is all said and done! Day Time = Play Time! Baby chickens are very inquisitive little creatures that love to spend their days exploring in the great outdoors (your backyard), with their sidekicks (siblings), by their side. Mum will take her baby chickens out of the coop to teach them about life in the wild. She will teach them how to scout for worms, bugs and other tasty morsels found squirming around in the grass. It is essential for baby chickens to learn these skills so they can get all the delicious nutrients from the creepy crawlies, helping them grow and develop. Plus, they’re a tasty treat for their little chicken tums! To encourage your baby chickens to learn and play you need to provide them with a stimulating environment that will allow them to do so. Make sure your baby chickens have plenty of space to run around- in grass, dirt and even sand, straw to peck at and climb on, and sticks to help them practice the all important activity of roosting. 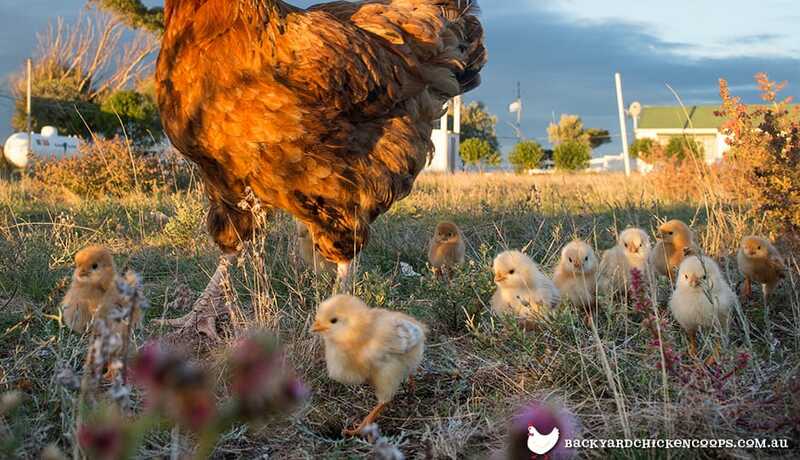 Watch your baby chickens have fun exploring, and sometimes getting themselves into a bit of mischief, all under the watchful eye of their proud mum! 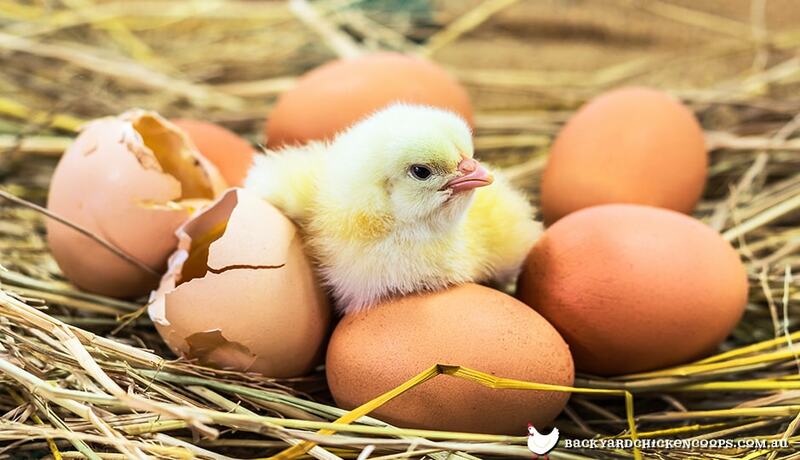 While the backyard can be very exciting for baby chickens it can also be a danger zone, particularly from predators that could be looming and looking to make your sweet little babies a quick tasty snack! But do not fear- mother hen will be at the ready to take on any pesky predators eyeing off her baby chickens! If the baby chickens mother feels there is a threat about she will make a certain clucking sound, almost like a warning signal for her babies, which is to alert them of any pending danger. When the baby chickens hear this particular cluck, they will come running and huddle underneath her, where she will protect them from the big bad world! By now it is getting late, the sun is starting to set and the baby chickens are worn out from their big adventure, so it is time for mother hen to collect up all her babies with a stern cluck or two, and herd them back into the coop. Of course during all of their worm hunting and roosting practice, baby chickens snuck in a little nap or two, but when the sun sets, it is time for the little ones to lay their weary (and fluffy), little heads to rest. It is important that for the first few weeks of their life, baby chickens and their mother are kept separate from the rest of the flock, as sometimes bullying can occur which can unfortunately harm the babies. As long as they are with their mother and have a warm and dry place to sleep and access to feed and water, your baby chickens will be safe and sound. Before the baby chickens settle in for their forty winks for the night in preparation of another big day of discovery, it’s important they guzzle down just a little more food and water- they are growing after all! Once mum has made sure her baby chickens are satisfied, comfortable and warm, it won’t be long before they are nodding off, all huddled together, dreaming of worms and other magnificent morsels- oh what a delight! As they have not yet learnt to roost yet, the baby chickens will gather together with their mother to sleep. However once they are old enough, and have had plenty of practice with their help of their number one cheerleader and coach- mum, baby chickens will begin roosting like pros! There is so much fun to be had when it comes to keeping baby chickens. Yes they are ridiculously cute, but their unique personalities and little quirks are what make them such a special pet. Oh, and to think in about 22 weeks time they will begin laying you fresh, delicious eggs- what more could you ask for- really? Baby chickens grow into adult-sized birds quite quickly - so it’s important to have a coop at the ready for your feathered family to move into, once they’ve outgrown the brooder! The Taj Mahal, Penthouse and Mansion will be the perfect home for your little babies once they aren’t so little anymore. Also, some owners prefer to keep their little ones in the compact Cluck House, which is perfect for young chicks... at least until they grow up!